The conduct of Dr. Gary Marder of Palm Beach, Florida was sickening. According to a whistleblower lawsuit filed against him in 2013, Marder was telling healthy patients that they suffered from life threatening skin cancer. Worse, he was prescribing dangerous radiation treatments to these patients. Radiation applied to healthy skin, of course, can cause cancer. After a 3 year court battle, Dr. Marder’s reign of terror is over for good. A federal court in Florida entered judgment against him for $18,017,382. Under the terms of the settlement, the judgment will be trebled to $41 million if not paid under the terms of the agreement. Marder and his co-conspirators were stopped because a brave whistleblower stepped forward and filed a complaint. Because of a Civil War era whistleblower award law, the person filing the lawsuit is entitled to a huge cash award. The whistleblower bringing the case was another physician, Dr. Theodore Schiff. Like Marder, Dr. Schiff is a dermatologist specializing in skin disorders. Dr. Schiff began to become suspicious when several of Dr. Marder’s patients sought a second opinion. He says that Marder had diagnosed these patients as having skin cancer. In many cases, Dr. Schiff says the patient simply had freckles, dry skin or a wart. As Dr. Schiff became more suspicious, he believed he uncovered a second fraudulent healthcare scheme, this one involving kickbacks. Dr. Schiff found that Marder’s patients were getting biopsy work done by Dr. Robert Kendall and his company, Kendall Medical Laboratory. Dr. Schiff became convinced that illegal kickbacks were taking place. Paying for patient referrals is illegal under federal and state law. When that healthcare is being paid by tax dollars, it becomes Medicare fraud, Medicaid fraud or both. Medical decisions should always be based on medical necessity and the best interests of the patient and never on kickbacks or bribes. Kickback schemes often result in patient harm caused by unnecessary hospitalizations or treatments. In this case, Dr. Schiff says that Marder’s patients suffered the emotional trauma of being told they had cancer when in fact they were cancer free. The combined actions of Kendall and Marder also resulted in patients being hospitalized and given unnecessary (and dangerous) radiation therapy. He says that Kendall, who was part of the illegal Medicaid fraud scheme, would then perform unnecessary lab work and diagnose otherwise healthy skin as cancerous. Once the patients are told they have cancer, Dr. Schiff says they were easily persuaded to undergo treatment. According to the National Comprehensive Cancer Network, the usual treatment for malignant skin lesions is surgical removal. The procedure is quick, usually effective and inexpensive. It is also safe. The complaint says that Marder was relying on a different treatment; a “rarely used technique of radiation therapy called hyper-fractionation.” That type of radiation therapy is both expensive and dangerous if used on non-cancerous skin. In fact, the radiation can cause cancer. 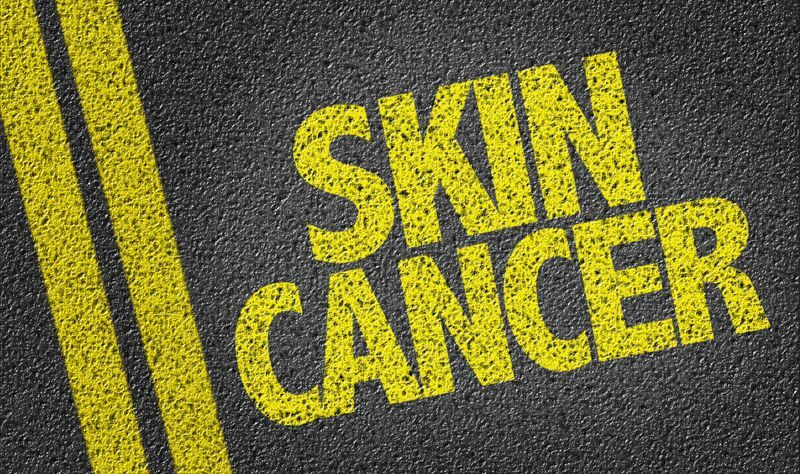 Medical literature says that the hyper-fractionation should never be used for skin cancer and is only appropriate in rare, advanced cancers of the head and neck. There are few side effects for routine, simple surgeries to remove skin cancer cells. High dosage radiation has many potential side effects, however. According to medical literature, the hyper-fractionation radiation treatments used by Marder involve the risk of skin irritation, damage at regions exposed to radiation, damage to salivary glands, hair loss when the head or neck is treated, and fatigue. Long-term effects include atrophy, fibrosis, telangiectasia, tooth loss, and gum damage. Worse, the treatment can cause cancer and sometimes the damage from the treatment doesn’t reveal itself for many months or years. Dr. Schiff says that not only was the radiation unnecessary, it was also performed in the wrong manner. In the rare instances when this therapy is indicated, it should be performed with at least 6 hours between treatments. The time delay allows healthy skin to repair itself before the next dose. Dr. Schiff says that the treatments were given between 60 minutes and 2 hours apart making them much more dangerous. Why would Marder perform medically unnecessary treatments? Money and greed. According to Dr. Schiff’s complaint, the patients that Marder treated were covered by Medicare or Medicaid. Both programs are funded with tax dollars. By performing unnecessary biopsies, Marder was paid by the government. Kendall also made money by performing the unnecessary lab work. Marder made even more money by using a rare but expensive treatment regimen. Once again, the treatments were apparently rarely or never necessary. Can it get any worse for patients? Yes, unfortunately. To recap so far, the complaint says that Dr. Marder’s Medicare fraud scheme involved unnecessary biopsies, telling cancer free patients they had cancer, giving these patients dangerous and unnecessary radiation treatments and performing those treatments too closely in time. So how can it get any worse? Dr. Schiff’s investigation found these patients were receiving 40 radiation treatments which is 400% of the typical therapy! Dr. Schiff believed that Marder used more hyper-fractionation radiation therapy than any other doctor in the United States! Marder’s Medicare fraud scheme gets worse! Medicare rules require that a physician perform or directly supervise these dangerous radiation therapies. Florida state law requires that technicians performing these therapies, even if working under a doctor’s direct supervision, be properly trained and licensed. According to Dr. Schiff’s investigation, Marder wasn’t even in the office for many of these treatments. The government says that sometimes he was not even in the United States! His two assistants were not licensed or qualified to administer radiation either. And it gets worse… Every healthcare provider in the U.S. has a unique provider number. That allows insurance companies and others to know who is performing what services. Medicare and Medicaid rules allow assistants to perform many services. When they do, however, they must use their own number. Under the rules, assistants and nurses get reimbursed at a lower rate. Doctors have more training than technicians and assistants and get paid more. According to the complaint, Schiff was submitting bills suggesting he performed the services when in fact, he was not even present. A press release from the government says that sometimes services were billed that were not even performed. Marder’s patients faced the terror of being told they had cancer that required an advanced and dangerous level of treatment. Now some of the patients know they never had cancer but could develop cancer in the future because of the radiation treatments they suffered. The harm to patients is obvious. There is also a harm to taxpayers. Because Medicaid and Medicare are funded with our tax dollars, Medicare fraud and Medicaid fraud hurts everyone. Not only are we all paying more for healthcare and more in taxes, there are healthcare shortages in many areas of the country. Some states have waiting lists for certain services simply because there isn’t enough money. Yet folks like Dr. Marder and Dr. Kendall were apparently bilking the system for millions. They benefit while their patients and the public suffers. The case against Drs. Marder and Kendall were brought under the federal False Claims Act. That law allows private individuals to step forward and file claims in the name of the government. It is the law Dr. Schiff used when filing his case. Under the False Claims Act, successful Medicare fraud whistleblowers can receive between 15% and 30% of whatever is collected from the wrongdoers. In this case, the award could be in the millions. Many states have their own whistleblower award laws that pay even more money. Medicare is funded with federal dollars but Medicaid is a mix of state and federal money. 29 states have their own False Claims Act which pays awards in Medicaid fraud cases. The awards are based on the monetary recovery but doctors, hospitals, drug companies, home care agencies and medical equipment suppliers who engage in Medicare or Medicaid fraud can also face criminal charges. During the whistleblower case against Dr. Marder and Kendall, both men refused to testify and invoked their 5th Amendment rights against self-incrimination. It is unknown if they will face prison for their actions. We remind readers that a settlement is not a finding of criminal guilt or fault. After the settlement was announced, Dr. Schiff said, "I can only hope that more health care providers will take the time and effort to report fraud and abuse. It is rampant in South Florida, and if it continues to go unreported, it will continue to undermine the trust our patients place in us, as well as the reputation of the healthcare community as a whole." After Dr. Schiff initially filed the suit, the investigation was coordinated by the Department of Justice. The Department of Health and Human Services Inspector General, FBI, Defense Criminal Investigative Service (DCIS) and other state and federal law enforcement agencies participated in the investigation. DCIS became involved in the case because some of Marder’s patients were veterans and their care paid for by the VA. In a prepared statement, a DCIS spokesperson said, "This settlement highlights the commitment of DCIS and its law enforcement partners to protect the integrity of TRICARE, the Department of Defense health care program serving our warfighters, their family members, and military retirees. Health care providers who seek financial gain through false claims and irresponsible treatment of their patients, will be diligently investigated and held accountable for their actions." Healthcare professionals and others with inside knowledge of Medicare fraud are urged to step forward. The Coalition maintains a list of the most common forms of fraud including unnecessary medical services. Collecting an award means hiring a lawyer and filing a secret (“sealed”) complaint in state or federal court. To collect an award, you must generally be the first to file. Insiders with knowledge of healthcare fraud and greed have several choices. They can ignore the greed (and often patient suffering) going on in front of them, call a toll free hotline or call a lawyer and file a sealed False Claims Act case. Only those who filed a sealed lawsuit are eligible to receive the large percentage awards. Interested in a large award but don’t have a lawyer? The Coalition can help. Call our operators at 888.742.7248. They will have a lawyer call you back with one business day. No cost. No obligation. Lawyers that handle Medicaid fraud whistleblower cases usually charge on a contingent fee basis. That means no legal fees or costs unless they collect money for you. Medicaid fraud costs taxpayers billions of dollars annually. Without your help, patients will continue to suffer and prosecutors will never be able to stop these frauds. Whistleblowers are heroes. They provide a vital public service by alerting authorities to fraud and poor patient care. Sometimes they even save lives, especially when the fraud involves unnecessary medical services such as in the case against Dr. Marder. Not quite ready to call? Use the confidential SUBMIT form to submit your information online.